2017 Kia Sedona L Test Drive Bright Silver 4D Passenger Van 3.3L 6-Cylinder 6-Speed Automatic with Sportmatic FWD Priced below KBB Fair Purchase Price! Awards: * 2017 KBB.com 12 Best Family Cars * 2017 KBB.com 10 Most Awarded Brands Reviews: * The distinctive cockpit looks more like a car's than a minivan's; you get a lot of features for the money; the second-row seats are quite versatile; cabin remains pleasantly quiet on the highway. 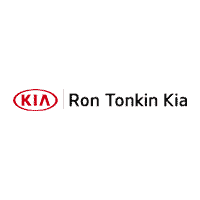 Source: Edmunds Come on in to Ron Tonkin Kia in Gladstone to test drive today!